Deupree and Willits unite again in their second collaborative release. 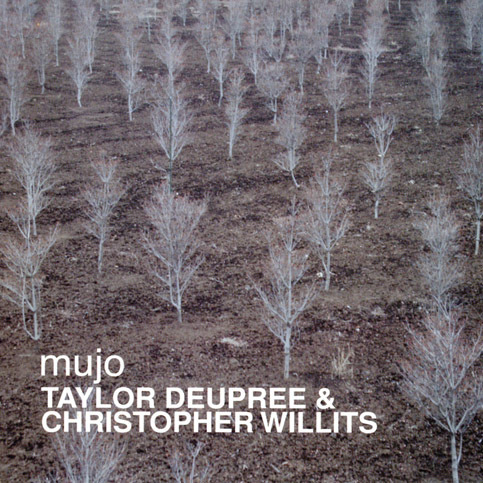 Mujo builds on the duo's growing process which was initiated on Audiosphere 08, the acclaimed Deupree / Willits CD released by Sub Rosa in late 2003. Mujo develops their collaborative and living process of generating music, and locates new paths and branches of sonic exploration. Mujo is a Japanesse word that means "constant change", or "transience". Inspired by ideas and principles of wabi-sabi, Willits and Deupree set out to generate a music that celebrated the beauty of things imperfect, impermanent and incomplete. This music holds an elusive fragility. There are structural elements in constant flux, forms with cracks, melodies tickled with beautiful imperfections, phrases incomplete and broken. The music seeps, and wanders, remaining gaseous and solid all at once. The albums duration seems to trace a line, or flow from from light to dark, external to internal. Built upon a series of loose jams and guitar improvisations, the music has a fresh under-produced and natural quality to it. Live collaborations were recorded in Deupree's brooklyn studio in late fall 2003 and spring 2004, times of natural change and transformation. Fragments and whole recordings of thoses sessions were subject to further processing in Willits' San Francisco studio and in Deupree's 12k headquarters. 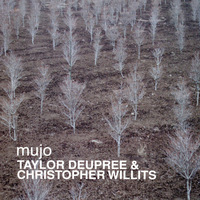 Mujo is the continued exploration of what will surely become a long and influential collaboration between these two unique sound artists/ musicians. Their work highlights each artist's own unique aesthetics but more importantly creates a third, unique voice, that is not just a simple sum of their two sounds.